The Silex's Museum invites curious visitors to explore one of the oldest flint mines in the world. Six kilometres from Mons, the Silex's Museum at Spiennes invites curious visitors to explore one of the oldest flint mines in the world. The mines at Spiennes are one of those little gems that we should strive to safeguard because of the exceptional part they have played in our history. 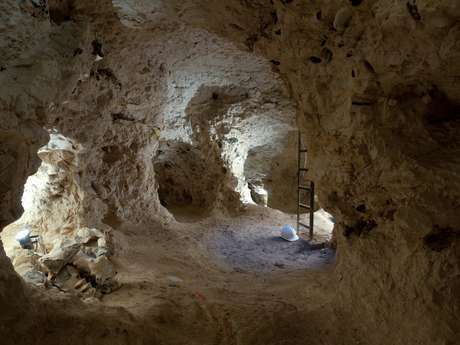 6,000 years ago, prehistoric man explored the ground underneath the surface to mine flint. The Neolithic era, the “new stone age”, marked a change in the way groups of humans lived, seeing new models based on agriculture and livestock breeding. In the Mons region, which was covered in greenery at the time, they had to clear the land for their herds. Digging a few centimetres into the ground, at Spiennes, they came across whole swathes of flint, a particularly resistant rock that they could use to make their tools. 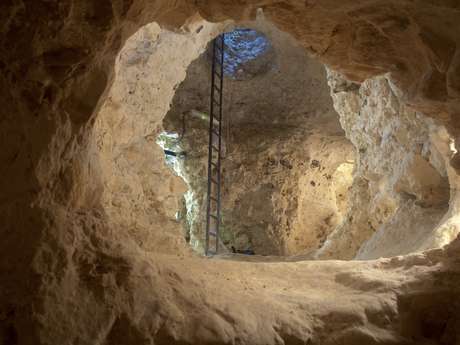 Over the course of 2,000 years, they would dig thousands of mineshafts, some of which are still virtually intact today. 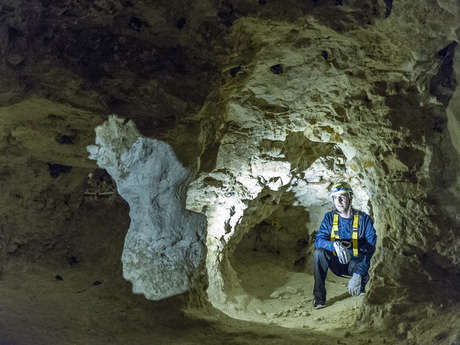 Like the pyramids of Giza, the mines of Spiennes are recognised UNESCO “human engineering” world heritage sites. Let’s say this is the highest distinction awarded by the organisation. In short, the “must of the must”. The Silex’s museum in Spiennes offers this very ingenuity along with an incredible history. More than just a visit, Silex’s is an experience waiting to happen. First by strolling on the surface, in the heart of a green setting in an almost lunar landscape where a surprising amount of flint still litters the ground. Then by visiting the museum space to understand the history of the site and the techniques implemented by Neolithic man. The Neolithics could extract flint slabs sometimes weighing several hundred pounds! Excavations carried out since the 19th century have brought to light thousands of objects: axes, blades, pottery but also remains of fauna and skeletons. Thanks to its excavation area, its projection area and its scenographic route, the museum space tackles the different facets of the archaeological site. If you book in advance, you can also go down into the original mine. In the company of a guide, you can follow the same route as Neolithic man once did! A ladder leads down the shaft 10 metres underground. Walk in the footsteps of prehistoric man... Once under ground, you can see how these mines were cut out from the chalk, and why some are filled while others are more spacious. You can also find out why the shafts were so close to each other and how our ancestors actually used them. With plenty of stories, the guides bring this tour of a site that’s 6,000 years old to life. An out-of-this-world experience! In order to help conserve the flint mine recognised by UNESCO, only 5500 people are able to go down it every year. It is thus critical to book a descent in advance by calling visitMons on 065/40.53.48 (Grand-Place) or by emailing groupes@ville.mons.be. The descent is made by means of a vertical ladder 10m in height. A fall-arrest harness and helmet are provided for each visitor. During the summer season, every weekend, on Saturdays and Sundays at 2pm, individuals are allowed to go down. During school holidays, you can also go down on Thursdays and Fridays. Booking is required (065/40.53.48. or info.tourisme@ville.mons.be). Subject to availability. Max. 12 places.